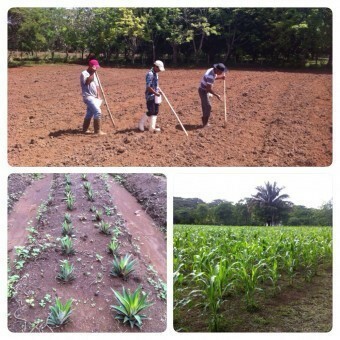 Finca Osa Verde is 10-acre working farm located on our Osa Verde property, a former cattle ranch that we are restoring. Our vision for Finca Osa Verde is for it to become a model for the region, where we can demonstrate sustainable agriculture and integrated farming techniques that can be easily adopted by local farmers – improving livelihoods and positively impacting the environment. 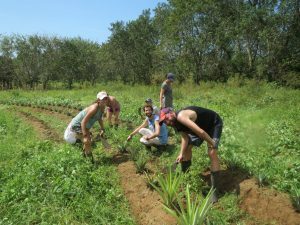 Finca Osa Verde will also host international visitors who come to learn about, research and gain hands on experience in tropical agro-ecology and sustainable agriculture principles. Taking sustainable agriculture and agro-ecological principles even one step further, we are promoting “conservation agriculture.” Current agriculture paradigms do not explicitly target conservation as a primary outcome in their methodology; their goal might be to minimize impacts and in a sense address negative drivers resulting from agriculture. However, conservation agriculture is a positive driver that seeks a net increase in biodiversity and ecosystem health. Ethically based: using organic and health-promoting production methods, thus reducing toxic impacts on public health. We utilize non-synthetic pesticides, emphasize local varieties, and native plants, practice crop rotation and raise pastured livestock and chickens without the use of hormones or antibiotics. We are producing a large portion of the food consumed in our kitchen and dining hall – giving our staff and visitors access to delicious, fresh food grown in our backyard. The farm is not only a site for food production but will also be a platform for experimentation, demonstration and dissemination of best practices. We want to teach others that agriculture and conservation can go hand-in-hand. 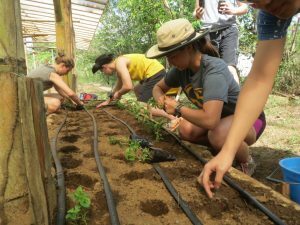 Volunteers, student groups and researchers will be able to work on the farm and gain hands-on experience and in depth knowledge of best practices in agriculture in the tropics. 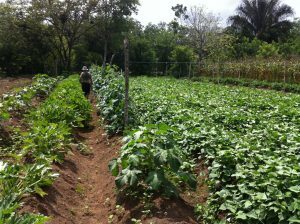 Local farmers, ranchers and community members will be invited to trainings, workshops and events where they can learn about rotational crops and grazing, mushroom production, compost, biochar, beekeeping and many other techniques suited to the tropics that can generate alternative and supplemental income. 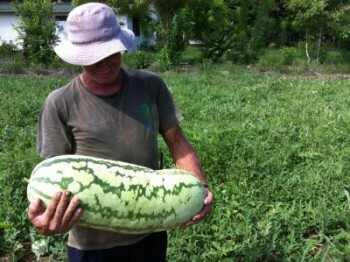 We promote local and heirloom varieties adapted to the tropics and appropriate for the region. 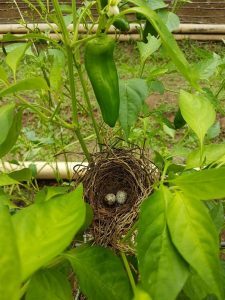 Planting native crops revitalizes the natural biodiversity of the region and supports the local ecosystem. 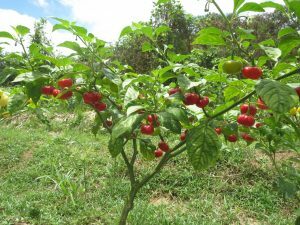 We are experimenting with specialty food crops like vanilla, cacao, turmeric and varieties of chili peppers and fruits that are exciting, healthy and have added market value. Read about our vanilla research HERE. Instead of throwing away biodegradable waste, the action of composting transforms food scraps into useful and natural fertilizer that enriches the soil and makes the food grown in it even healthier. Biochar is a charcoal substance that is added to agricultural soil. The process of using biochar in farming soils is a 2,000 year-old practice that transforms agricultural waste into a soil that can retain carbon, increase soil biodiversity, and help prevent deforestation. 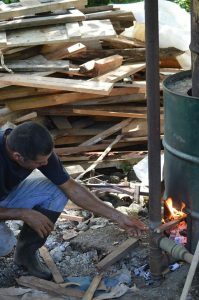 Biochar plays a role in mitigating climate change because it can contribute to carbon sequestration which helps to reduce the amount of carbon dioxide in the atmosphere. Biochar also helps to create long lasting healthy soils that are productive for generations of food growth.